After 4 1/2 years of homeschooling, I’ve realized that you don’t need as much as you think. 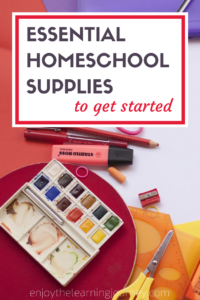 In fact, it’s easier to just start with the basics, and then buy more things later, after you get into a routine and feel certain you will continue using the curriculum you picked. You’ll also want a chance to first look over the curriculum and schedule to determine which projects you think you will and won’t be doing. One of the mistakes I made early on was to buy everything that’s recommended as a supplement to the curriculum. I later realized it would have been less expensive to purchase some of the supplementary items on my own, especially since I didn’t need to buy the whole supplementary pack when we wouldn’t be doing all the projects. Each curriculum is packaged differently so you’ll have to decide when ordering if it makes sense to purchase it all or if it may be okay to wait and see. 1.) Binder and/or notebooks. This is for your children to keep their work in. I have binders for each child and we put their “best” work in there. I purchased sheet protectors for the work we don’t want to hole punch. 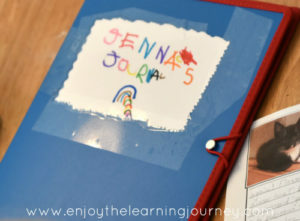 The kids also have separate notebooks for spelling and nature study (our children are in an outside class that requires a notebook). 2.) Sketchbook. A sketchbook for each child is really nice to have. 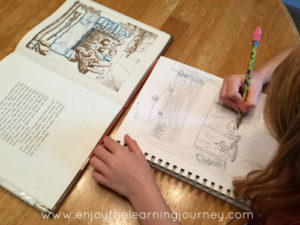 That way they can pull it out for sketching something related to a book you are reading together, a topic they are studying, or if they just want to draw. We already have so many loose papers in our house that I prefer to have each child’s sketches in one place so they won’t get lost. 3.) Quality pencils with a good pencil sharpener and pencil top erasers. We added an electric pencil sharpener this year and it’s something I’d have purchased sooner. It is so much quicker and easier than hand sharpening pencils. We use Ticonderoga pencils and PaperMate pencil top erasers. 4.) Storage for papers. I am working on better organizing all of our papers but we have had this colorful 10-drawer organizer almost from the beginning. It’s not the sturdiest but it’s held up and has been a huge help in keeping paperwork clutter to a minimum. With the amount of papers and projects both from schooling at home and outside classes, a place to store everything is critical. 5.) Planner. From basic notebook to detailed online planner, use whatever works best for you. Right now I’m just using a spiral-bound notebook for planning although last year I used Homeschool Planet. 6.) Cozy spot for reading. We added a huge beanbag this year which is perfect for reading together! Maybe you’ll decide to just use your couch but pick a comfy spot that can be used for reading great books together. 7.) Basic art supplies. Crayons, markers, colored pencils, colored gel pens (we love gel pens! ), chalk pastels, oil pastels, various paints and paint brushes. We use a lot of Crayola products which all work well. Even their paint brushes are better quality than the others we have. 8.) Math manipulatives. 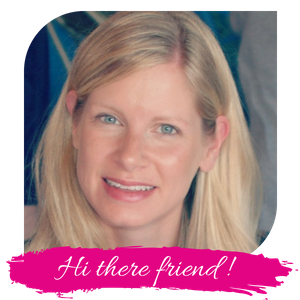 We use all types of things for math manipulatives, and you can simply use crackers or cereal if you want, but our favorites are the Learning Resources Bears and All About Me Family Counters. 9.) Variety of paper. Lined paper, double-lined paper, construction paper, blank paper and card stock. I like Pacon Construction Paper and buy white card stock from Walmart for the best deal. If I want the lined paper to match up in size to notebooking pages I’ve printed out then I just print out lined paper from PrintablePaper.net (it’s free) rather than use loose-leaf paper. 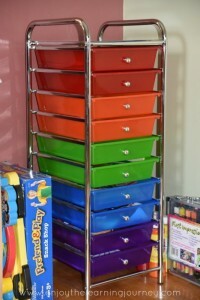 It works great to keep things more neat and organized! 10.) White board with dry-erase markers. I have found Expo markers work best and are worth the money. 11.) Other Basics. Scissors, rulers, stapler, glue, glue sticks, tape, 3-hole punch. 12.) Laminator and pouches. I’d recommend purchasing a laminator if you have preschool or elementary aged children, especially if you are planning to reuse materials you print. We have an older version of a basic Scotch laminator and it has held up well with no problems. The Scotch brand laminating pouches are a little nicer but sometimes they are more expensive. I’ve also used the AmazonBasics brand which have worked fine for us. 13.) A library card. We love the library! Books from the library are probably our #1 source of learning materials. I do purchase curriculum materials but we read so many different types of books during the year and learn so much from them that I’d be spending a ton of money on books if I had to buy them all! Almost all the books we do purchase we find at our local Goodwill or purchase preowned online. Abebooks is a great place to look and I’ve found many good deals on there. 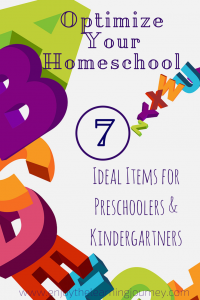 If you have a preschooler and/or kindergartner, you may also want to check out this previous post Optimize Your Homeschool: 7 Ideal Items for Preschoolers & Kindergartners. 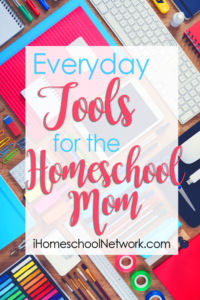 And for more essential homeschool tools posts, be sure to head on over to iHomeschool Network!